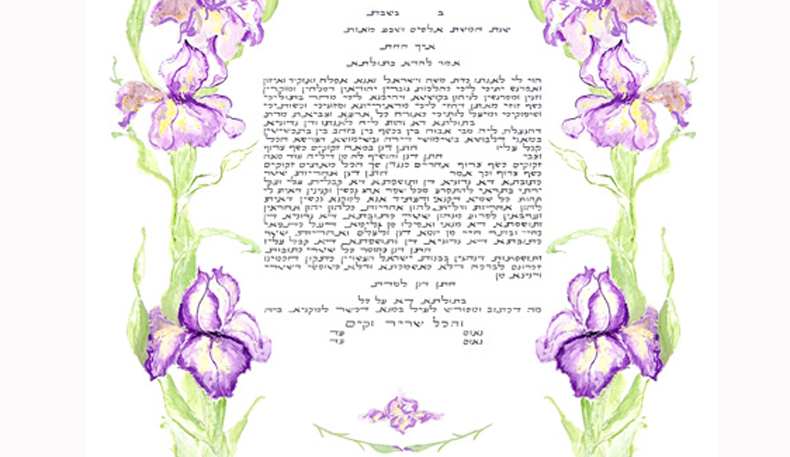 Original Hand-Made Ketubah: Each custom ketubah is unique and represents the bride and groom. All the calligraphy is by hand with lush black ink. Each original artwork is painted with watercolor paints on archival paper. Both the text and the art are personalized and tailored to meet your individual needs. I will calligraphy and paint your desires. 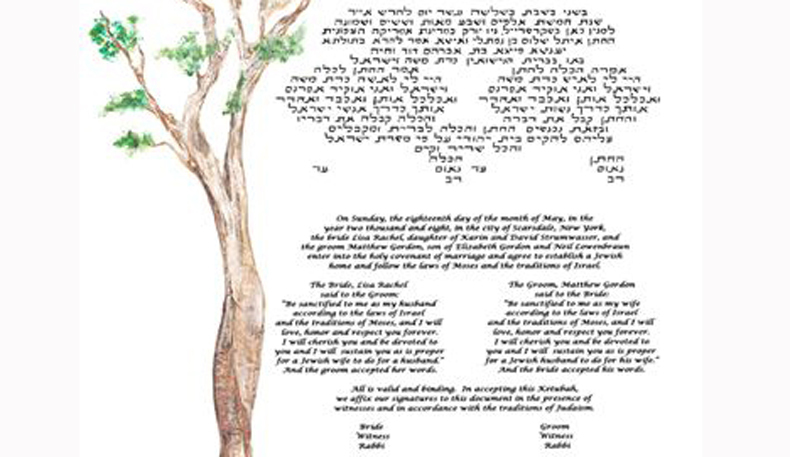 Your customized Ketubah is “one-of-a-kind”. Custom Prints: All prints are high quality, archival reproductions of my original work of art. Each print is printed onto beautiful acid-free watercolor paper and looks like the original piece. I put your text into any design and we work together to decorate and beautify your thoughts. 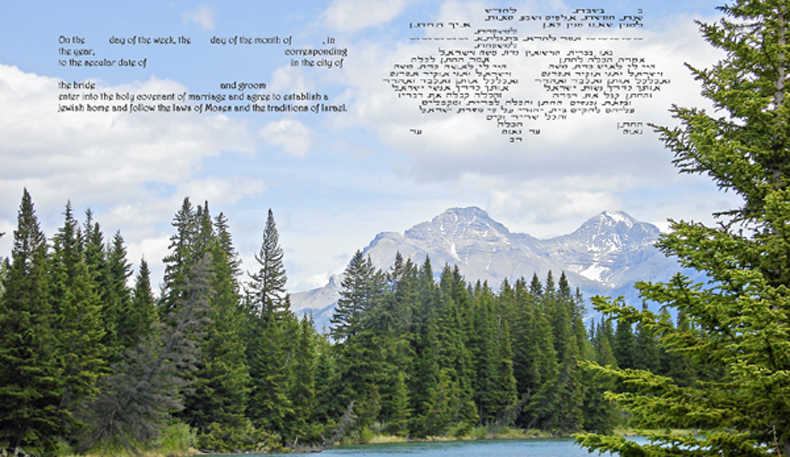 Your Custom Ketubah will be unique and represent your wedding. Remember, everything is high quality work, custom made to fulfill your wishes. This will be your unique keepsake specifically prepared upon your request. Each bride and groom is a special couple; and each work of art is printed solely for you.